Puntas Surf Shop opened up in June of 2016. 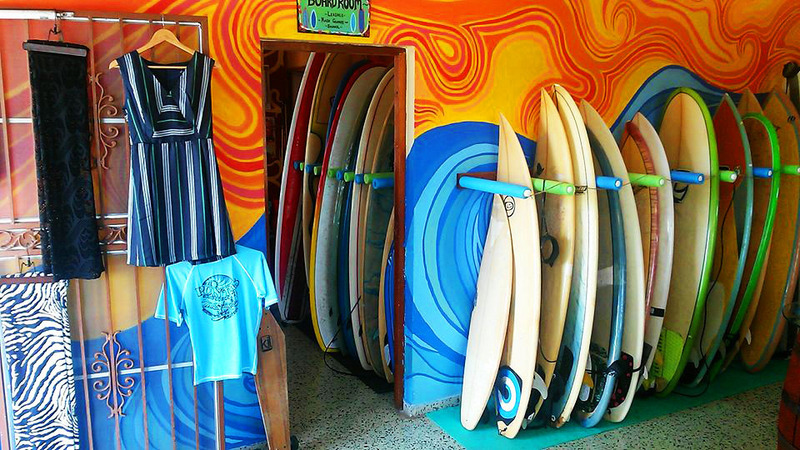 A sister business with Puntas Surf School that has been running since 2004. We offer over 50 surfboards to rent, as well as beach chairs, paddle boards, and boogie boards. We also sell new and used surfboards, and take boards for consignment. Puntas Surf Shop also has snorkel gear, surfboard fins, leashes, sunscreen, beach towels, ding repair, rash guards, and basically anything and everything for your surf and beach supplies. We also have a variety of swimsuits (men's,women's and kids), sandals, sunglasses, jewelry, sarongs, hats, dresses, and much more. With The BD Cafe located downstairs offering coffee, smoothies, and yummy breakfast and brunch eats, we also have a large upstairs deck for lounging and yoga classes we offer 4 days a week. 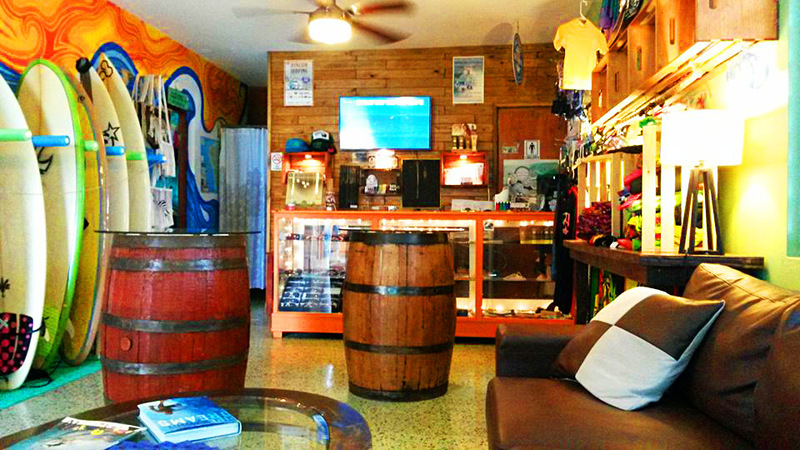 A large TV and couch are located in the main room of the shop where we play live surf contests and surf videos. Puntas Surf Shop is a local one stop shop for all your beach and surf needs! Come and check us out and say hello! Email us Puntassurfschool@gmail.com Visit our Facebook Page!